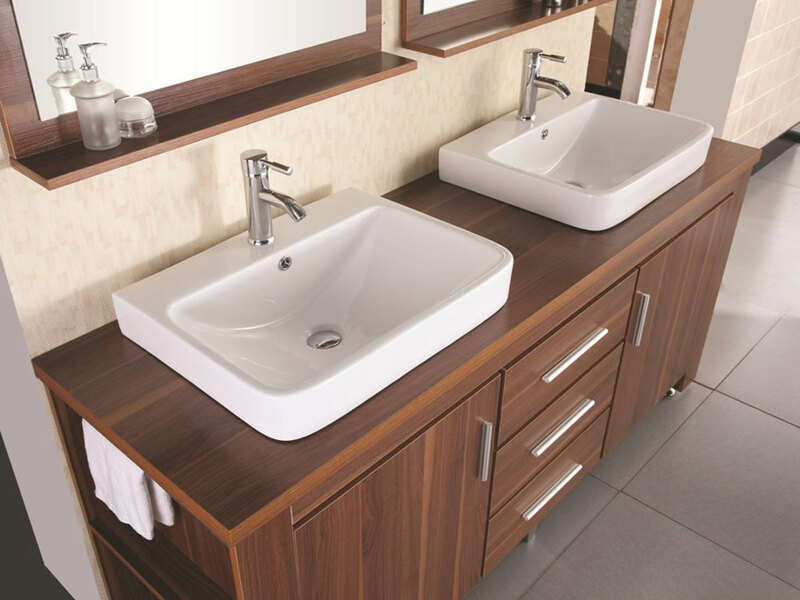 Warming in appeal, the 72" Washington Double Vanity is a must have for adding a touch of warmth for a more inviting environment to your bathroom. 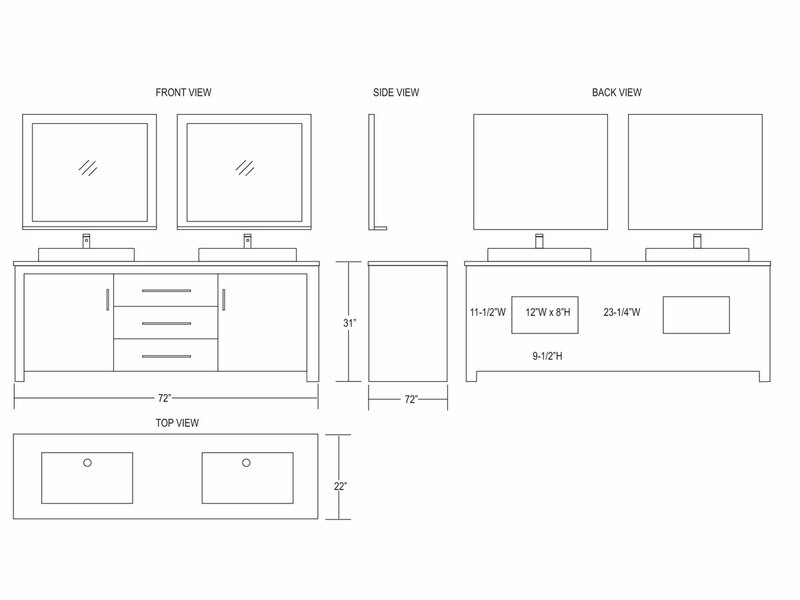 A toffee finish gives it its homey look that is complemented by functional single-door cabinets on each side and 3 fully functional central drawers. 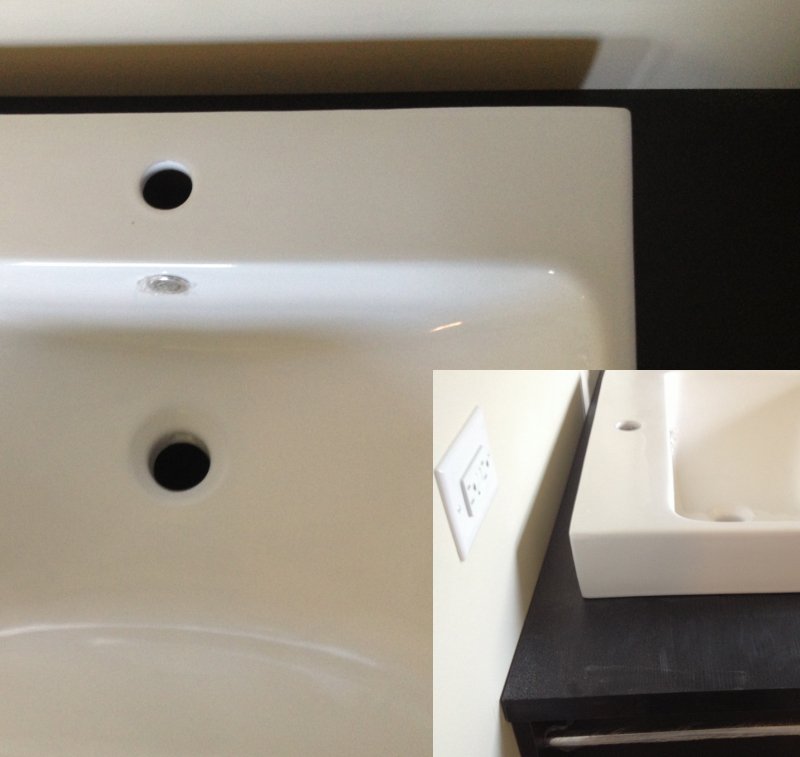 On each side of this beautiful vanity, integrated towel bars and a small shelf lend it functionality. 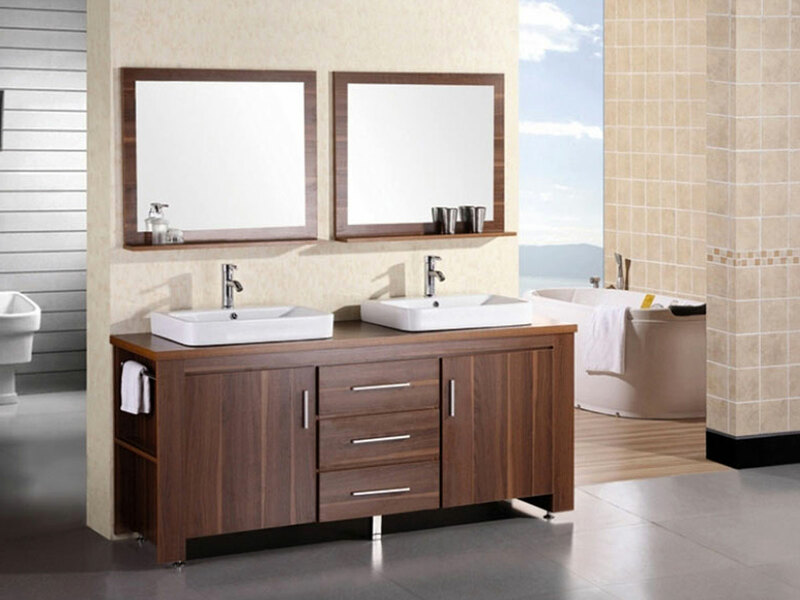 Included with the Washington Vanity are two matching framed mirrors, each equipped with a bottom shelf!